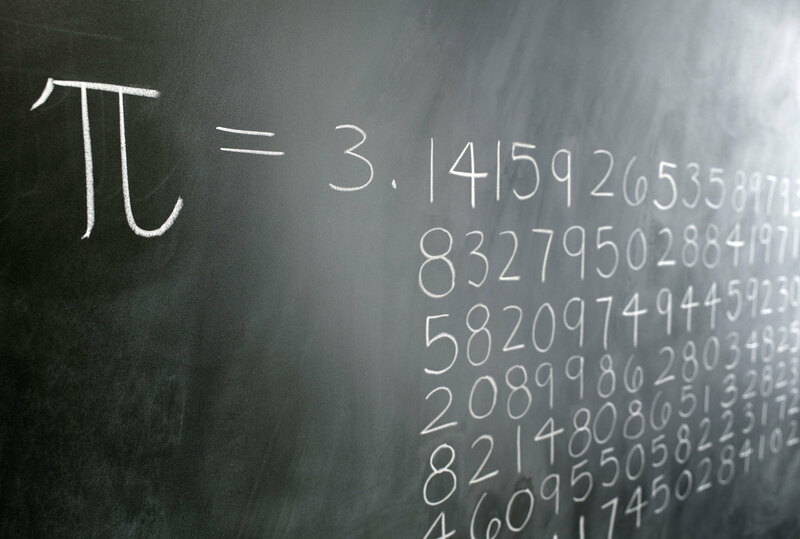 Yesterday, March 14, marked the annual observance of Pi Day. It only works in the American way of writing dates, so it’s mostly in this country that mathematicians get excited. But yesterday wasn’t just March 14, it was March 14, 2015: 3-14-15 in the usual shorthand that we write dates, and Pi to four decimal places is 3.1415. Pi to 9 decimal places is 3.141592653, and 9:26:53 yesterday was the hour when Pi hit the clock. Sounds silly? Mathematicians need to get silly once in a while, to put a face on the numbers and equations that fill their lives. When you work with numbers and equations all the time, you need a day every year to get drunk. The Irish do it every March, so why not mathematicians? If you did a Google search yesterday you would have found hundreds or thousands of websites celebrating Pi Day. The best thing I read on Pi Day was an article from the New Yorker. Pi (π) is the Greek letter that represents the ratio of a circle’s circumference to its diameter. The ratio is about 3.14, but that’s only an approximation to two decimal points. It’s actually an endless number, the digits after the decimal point go on forever. It has been computed to more than 13 trillion digits after the decimal point, and there is no pattern to the numerals. The digits seem to be random. And yet, they can’t be random, because this infinite series of digits represents the order of a circle, and a circle is a perfect shape. Pi shows up in countless equations that describe many of the most fundamental processes of the universe and of life in the universe. It is used to describe such things as a baby’s breathing, the beating of the heart, the earth’s orbit around the sun. It shows up in the engineering of a building to withstand earthquakes. It describes the invisible waves that allow us to use our cell phones or wi-fi. It even plays a role in describing the behavior of atoms and the fundamental particles that are the deepest foundation of all reality, including you and me today. I really like thinking about π this way. Because it reminds me of the Cross. I like what the New Yorker article says: π “puts infinity within reach.” A simple ratio, circumference/diameter of a circle, a simple shape, somehow connects with infinity – not just because of the endless digits but also because pi plays a role in describing everything form the smallest particles to the behavior of planets and galaxies. 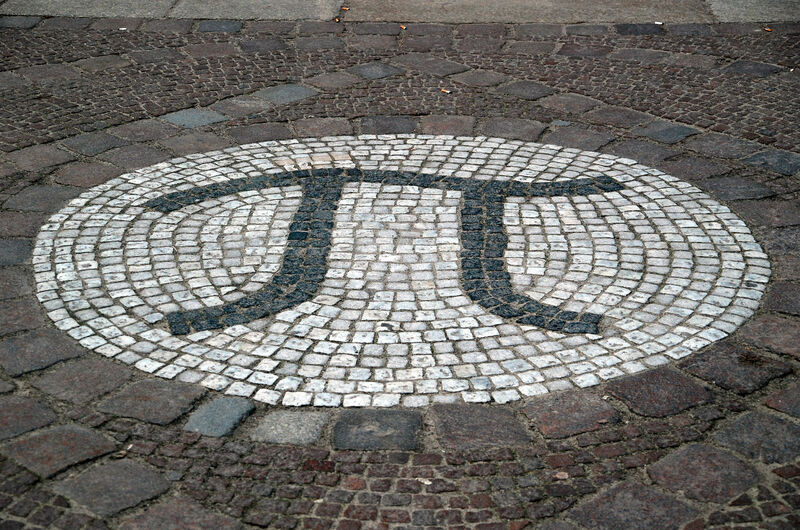 Mosaic representation of π outside the Mathematics Building at the Technical University of Berlin. The Cross is like that. It’s a simple shape, and yet it is at the root of how God chooses to relate to us. The Cross is the means by which the infinite becomes comprehensible to us. It is the shape by which God chose to show his love. And the Cross is an invitation to every one of us to touch infinity. to think big. Let’s forget the way the Cross is usually represented in most versions of Christianity. Let’s forget the cruelty and the blood – that was temporary, that was the 3.14. Let’s look at the longer vision, the 3.141592653589793….. Let’s stretch the cross to infinity to where it touches God and brings God into our daily lives. 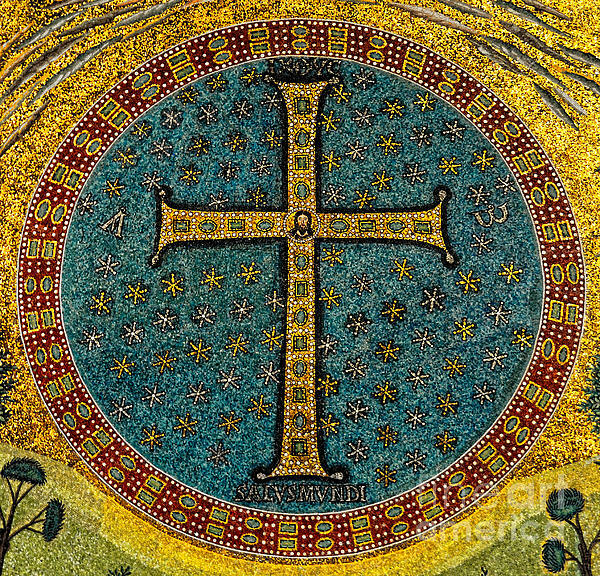 Our daily lives: such a small thing – but described and inscribed by the infinity of the Cross. Jesus tells us to lift our cross and follow him. He doesn’t treat us as invalids; an invalid cannot lift a cross. Jesus is telling us, you can do it; take up your cross and follow me. Infinity has entered our lives and is here to stay. The cross calls each of us to look beyond the 3.14. The cross is our bridge to God, the means by which we know God! The wisdom of God is most perfectly shown in the Cross. A simple shape that represents infinity. It’s the π of the Christian. That’s my message today, short and simple, yet aiming for infinity. 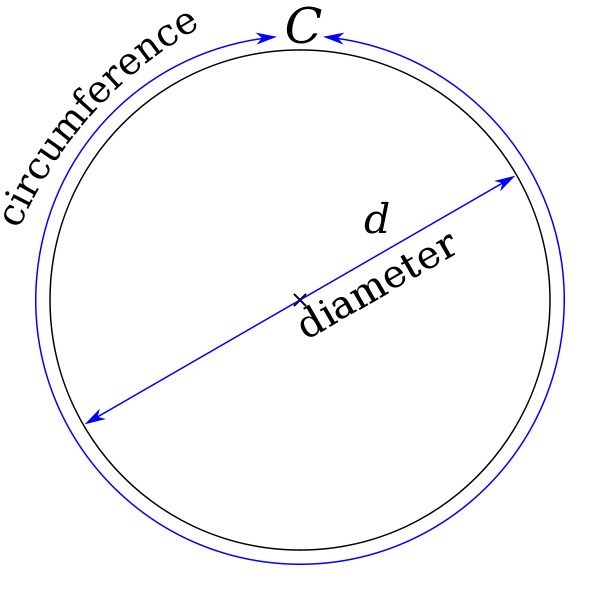 Categories: Sermons | Tags: π, Pi Day, the Cross | Permalink.